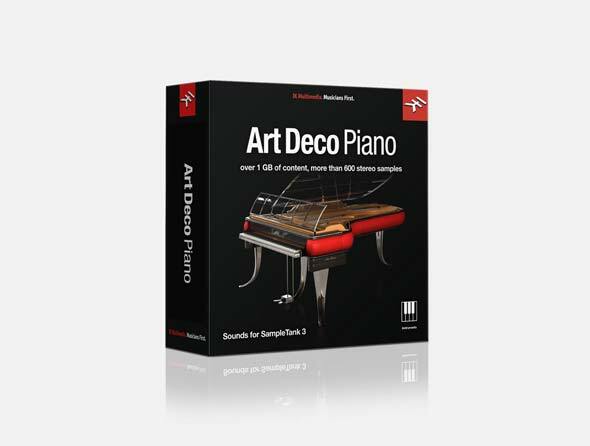 Iconic Danish design and methodical German construction come together for Art Deco Piano, an audiophile-grade SampleTank Custom Shop instrument collection that includes over 1GB of content with more than 600 sonically rich stereo samples. Art Deco Piano is a faithful recreation of a classic 1930’s Blüthner® PH Grand Piano. 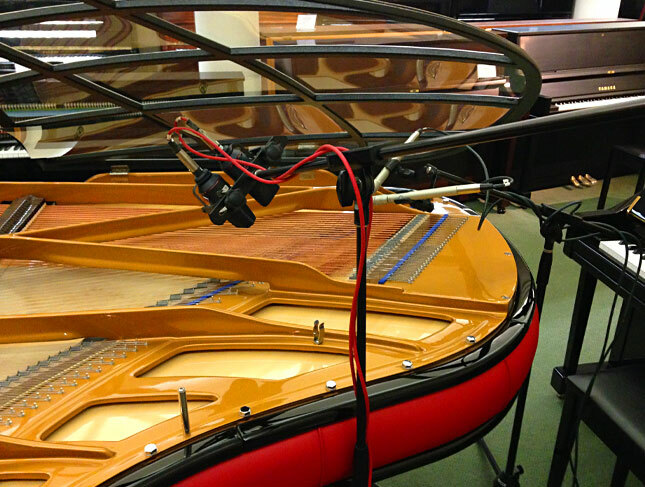 This is one of the most sonically and visually striking pianos ever made. Its iconic swooping and curvy design comes courtesy of Danish designer Poul Henningsen. Made without a traditional wood cabinet, its build of metal, leather and other materials offers a bright and modern sound that we captured with a matched pair of Neumann TLM-170R condenser microphones running into top-quality studio preamps. 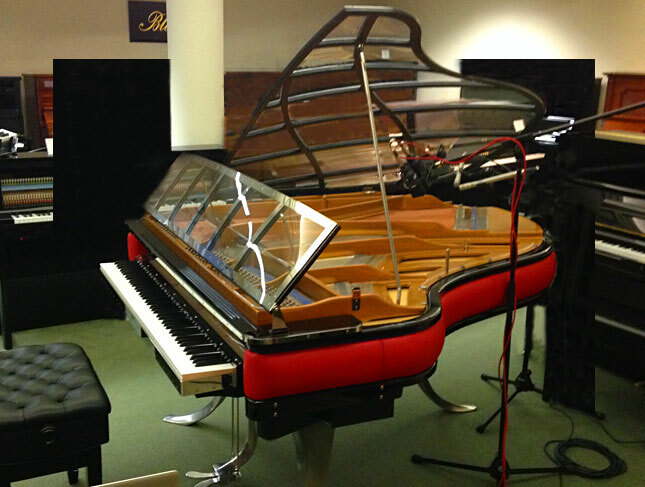 Art Deco Piano is a sonic experience like no other. And to deliver that experience, IK has worked tirelessly to deliver the utmost in realism. Our team of engineers spent months making sure that every nuance and subtly of this beautiful instrument has been properly captured so that you can use it in your productions and performances. Each note has been meticulously sampled at 8 specific velocities for easy playability. We've also omitted a few notes where necessary to ensure smooth key transitions and uniform tonality across the keyboard. 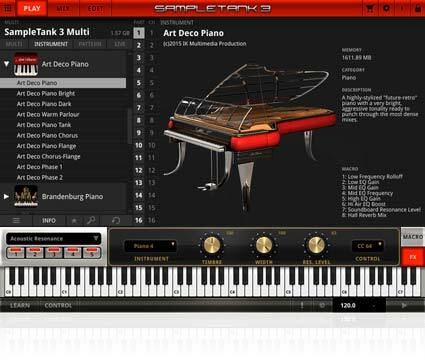 It also includes a model of the actual recorded piano’s soundboard (Piano 4) for SampleTank's Acoustic Resonance effect. Or, in other words, the realism level is so high that if you close your eyes while playing, you’ll swear that you’re behind the keys, leather and polished metal of one of these remarkable custom instruments in a concert hall or lavish European mansion. And while Art Deco Piano is based on a piano designed in the past, its bright tonality makes it a fantastic choice for pop, rock, R&B, jazz, classical and just about any other style of music that calls for a lively and aggressive sound.